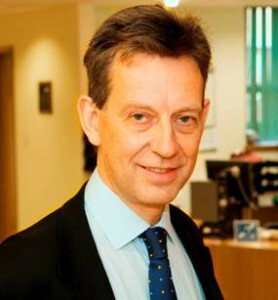 The Oxford Academic Health Science Network (AHSN) is very pleased to announce the appointment of Professor Gary Ford as Chief Executive. Professor Ford will join the Network from the University of Newcastle where he is the holder of the Jacobson Chair of Clinical Pharmacology, the Director of the National Institute for Health Research (NIHR) Stroke Research Network and the Associate Medical Director for R&D at the Newcastle Hospitals NHS Foundation Trust. In addition, he has maintained a clinical practice as a stroke physician and developed strong links with the life sciences sector. AHSNs have been established across England with a core purpose to ensure the NHS, academia and industry work collaboratively to identify, adopt and spread innovation and best practice. The Oxford AHSN includes health and social care providers, NHS commissioners, universities and businesses from the life sciences sector, local authorities and third sector organisations across Berkshire, Buckinghamshire, Oxfordshire and Bedfordshire.